Michigan Arrest Warrants – What is a Bench Warrant? 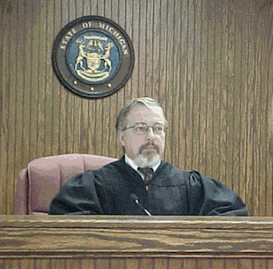 As a Criminal Defense Lawyer who appears in Detroit and Suburban Courts almost every day of the week, I hear and see Judges issue a “Bench Warrant” often. Most people have a general understanding of what a warrant is, but many are not clear on the meaning of the term “Bench Warrant” and how it relates to Warrants in general. A Bench Warrant is, as you can imagine, a Warrant that is issued “from the Bench,” meaning by the Judge sitting at his or her “desk” in Court. A Bench Warrant can only be issued in certain, limited situations. While a Bench Warrant is a kind of “Arrest Warrant,” not all Arrest Warrants are Bench Warrants, in the same way that a baseball is a kind of ball, but not all balls are baseballs. The focus of this article is upon Bench Warrants, when they’re issued, for whom, and how they’re dealt with. A Bench Warrant is issued when a person who is subject to an order of a particular Court does not comply with it. One of the most common situations in which Bench Warrants are issued is as good a place as any to look for an example. Assume a person has been arrested for an offense (it can be any offense: Drunk Driving, Possession of Marijuana, Domestic Violence, etc.) and is sent a notice by the Court to appear on a certain day. If that person does not appear on the date required by the notice, when the Judge calls their case and they don’t respond, he or she will issue a Bench Warrant. This means that a warrant is put out through the LEIN (Law Enforcement Information Network) and if and when the person comes into contact with a Police Officer, they will be arrested. Actually, the Bench Warrant itself is an order of Court commanding a Police Officer to arrest someone and bring them before the Court. The Officer cannot ignore an active Warrant. This is one reason why, upon pretty much any contact with the Police, an Officer will want ID from a person so that he or she can run their name and see if they have any outstanding Warrants. A person is “subject to” a Court Order when that Court has Jurisdiction over them. The subject of Jurisdiction could fill a small Law Library in and of itself, but for our purposes, we’re talking about a person having some relationship to a case pending in a particular Court. That person can be the Defendant, the Complaining witness, a regular witness, or a Plaintiff, in a Civil Case. Certain individuals, called Parties, have a kind of “built-in” relationship to the Case, and just because of who they are. For example, the Defendant, or person charged with a crime, in a Criminal Case, or the Plaintiff, or person who filed suit against someone else, in a Civil Case are Parties in a case, just like the Bride and Groom are the Parties in a wedding. Witnesses in a case, like bridesmaids and groomsmen in a wedding, have a relationship to the case but are not the Parties. A Court presiding over a case automatically has Jurisdiction over the Parties. As for other individuals who have some relationship to the case, but who are not the Parties, a Court must acquire Jurisdiction over them before they can be considered “subject to” its’ orders. In pretty much any case that we could use for an example, a Court will acquire Jurisdiction over someone who is not a “Party” by issuing a Subpoena.pdf for them. By the way, the correct pronunciation of the word is “sa-peena.” Once in awhile someone says it like “sa-peeny,” and that’s dead-wrong. Let’s look at a real-life example using the crime of Domestic Violence to illustrate. Let’s say Joe Blow was arrested on a charge of Domestic Violence at the apartment he shares with his girlfriend Kathy. Kathy had called the Police after Joe pushed her down into a chair during a verbal argument. Now, a month or two later, Kathy and Joe both regret the whole incident, especially because Joe cannot return to the apartment as part of his Bond Conditions. Joe’s Court date is already scheduled, and as a Party (the Defendant) he is required to appear. A notice is sent to Kathy to appear on that same date. Kathy, who now realizes that she cannot “drop the charges” against Joe, just wants the whole thing to go away. Kathy decides to skip Court and ignore the notice to appear. Because she’s not a Party, and because she only (supposedly) received a Notice to Appear which was mailed to her, Kathy’s failure to show up cannot result in a Bench Warrant at this stage in the case. Joe appears in Court on the scheduled date. He is hoping Kathy’s absence will allow the case to be dismissed, but he soon learns that it doesn’t work that way. Instead, the next step is that the case is set for trial. The Prosecutor will have the Police Department who handled the call go out and personally serve a subpoena, which is a Court Order, upon Kathy requiring her to appear at the next Court date. Now, if Kathy is, in fact, personally served with that Subpoena, she must show up in Court, because by virtue of having been served with it, she becomes “subject to” the Court’s order. If Kathy ignores the Subpoena and does not show up in Court, whatever happens to Joe’s case (in some Court’s the matter might be dismissed, in others there may be one more attempt to bring Kathy in), she is liable to have a Bench Warrant issued for her arrest for ignoring the Court order to appear. The Court can choose to not issue a Bench Warrant, just accepting the fact that Kathy, as the Complaining Witness has chosen to not go forward with the case, but that’s a matter for the Judge to decide. What if Joe didn’t show up on either of those Court dates? Absolutely, 100% guaranteed that a Bench Warrant would be issued for his arrest. What if Kathy’s friend, Lisa, was at the apartment on the date of the arrest and saw what happened, and wrote out a statement when the Police arrived? If Lisa was sent a Notice to Appear, and she ignored it, there is no penalty for her failure to appear, because that Notice did not make her “subject to” the Court’s order. However, if Lisa was served with Subpoena to appear and she failed to show up in Court, a Bench Warrant would also likely issue for her, as well, because she became “subject to” the Court’s order by virtue of that Subpoena. Next, assume Joe worked out a good Plea Deal that would keep the charge off of his record. As part of the Court’s sentence, Joe was placed on Probation and required to attend some Anger Management Classes. For whatever reason, Joe stopped going, and the place holding the classes notified Joe’s Probation Officer. Joe’s Probation would be “Violated.” The first step in a Probation Violation Proceeding is the execution and issuance of a Motion, Affidavit and Bench Warrant (a Probation Violation Bench Warrant), requiring Joe to come back into Court and be Arraigned on the Violation, and have a Bond set. Let’s look at one more example: A person who has been sued (the Defendant) for money and who has had a judgment taken against them will sometimes be Subpoenaed to appear for what’s called a “Creditor’s Exam,” where the Party who sued them and won the judgment can ask them, under oath, about where they work, bank, and what assets they own. If the Defendant ignores the Subpoena, a Bench Warrant for their arrest will be issued by the Judge. Fourth, other individuals, such as witnesses, fall under the Court’s Jurisdiction (and therefore become “subject to” its’ Orders) when the Court issues a Subpoena requiring them to appear. Fifth, and finally, Bench Warrants are issued after a person, who is subject to the Orders of a Particular Court, either does not do what was required by that Order, or does something prohibited by it.